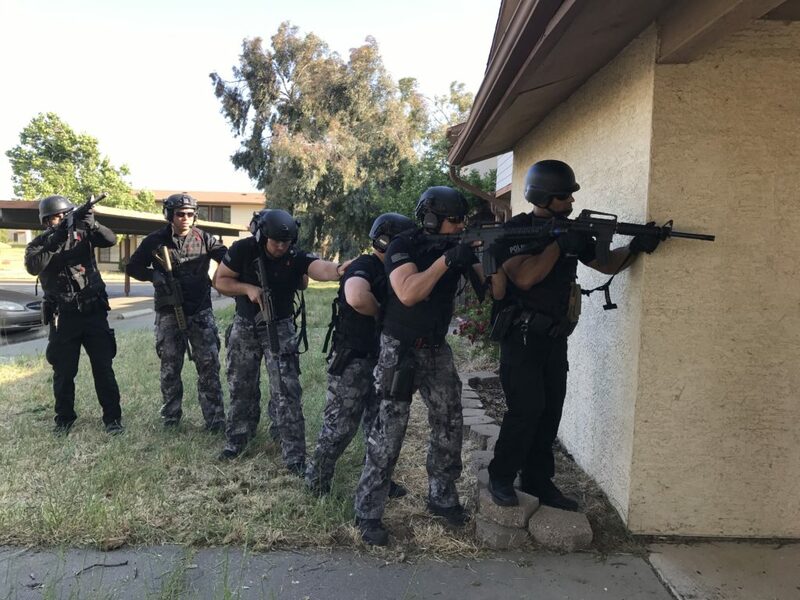 SBTactical rewarded the Fairfield, CA SWAT Team with a free day of training with all SBTactical equipment after they won “SWAT Team of the Year” at CATO. 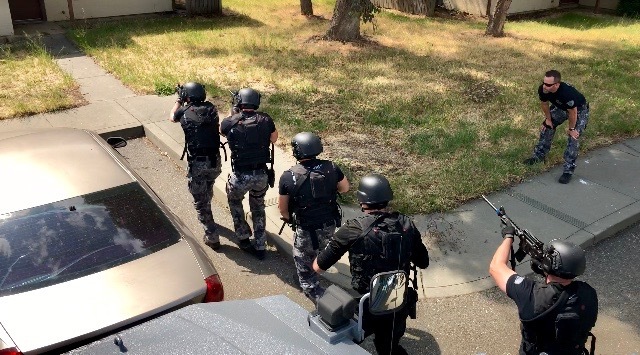 Lieutenant Jausiah Jacobsen of the Fairfield Police Department reviewed the training day and took some incredible photos of the equipment in action. 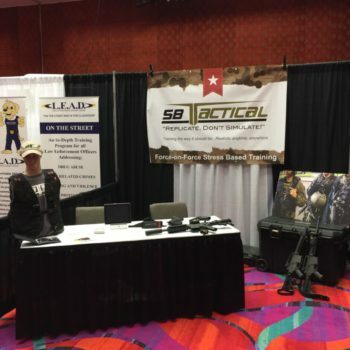 “Cristine Seevers, owner of SBTactical provided our SWAT Team with a training day this last month. I will admit, at first I was skeptical of what the equipment could really offer since we already owned a large complement of simunition type training weapons. I truly found that with simunition and marking type weapons, officers will take risks that they may not take in a real life scenario. 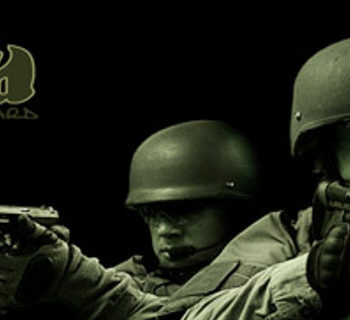 The electric shock provided by SBTactical’s equipment gave a more real world concern to the consequences of ones actions. Throughout the training day I observed officers utilizing better cover, concealment and movement. Thank you Lieutenant Jacobsen for your review, for using our equipment and congratulations on your big win at CATO! Looking into training? we offer an amazing rental mobile program. Check it out today to learn more and contact us with any questions or to set up a training.